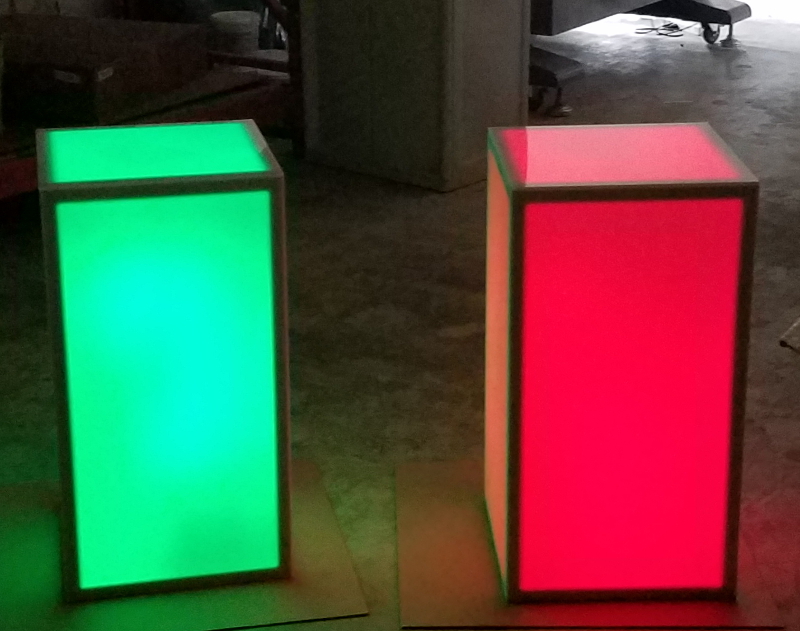 Banquet Tables Pro® Light up LED columns are superior to the competition. We use polycarbonate for our LED columns as opposed to acrylic. Polycarbonate has more than 10 times the impact resistance that acrylic. We utilize an internal lightweight aluminum frame for it's structure. No visible screws, only a smooth white finish. Each column's light color can be controlled with a remote. The 20 standard colors are accompanied with options of flashing, and jumping from color to color. This column can be used as a table, table base, decorative column & more! Includes remote control, battery, battery charger, and optional wall plug.